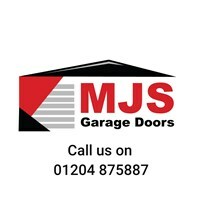 MJS Garage Doors Ltd - Garage Doors based in Bolton, Lancashire. MJS Garage Doors Ltd have been installing and repairing Garage doors for over 20 years, we are proud to say we are a family run business. we have a no pushy sales approach, and are honest, reliable and take great pride in our installations. We use our experience to assist you in making the correct decision both economically and practically. We are highly competitive, and provide quality doors which we offer a 2 year guarantee, as well as full back up support for manufacturer warranties which are passed onto our customers. Some of the kind reviews on Google describe MJS Garage Doors 'friendly, Reliable, excellent workmanship, very very impressed, would recommend...... Take a look for yourself.